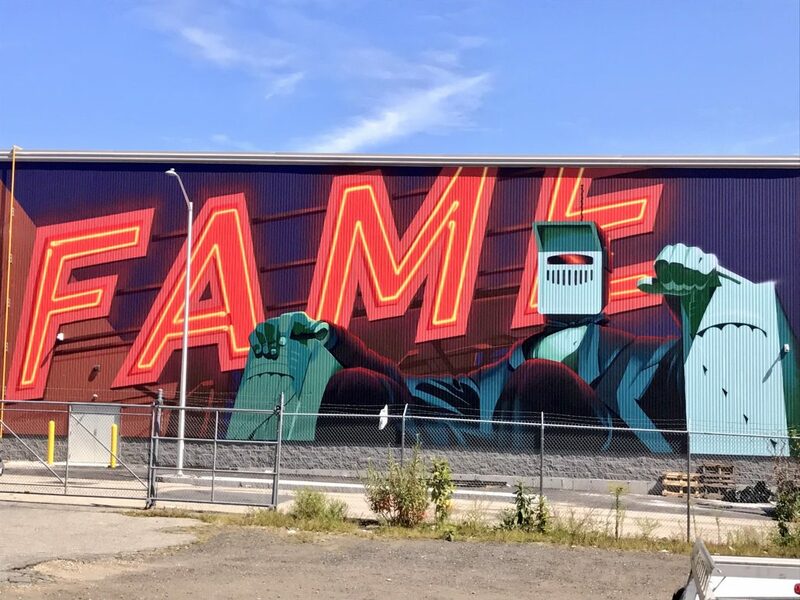 Hello Railers HC! It’s that time again for the Community Express! We are one week closer to the start of the season. 38 days left…but who’s counting!? Make sure to check out the latest Tuesdays With Tom video recapping an amazing week of Pow Wow Worcester. Last Wednesday, we tabled downstairs at the DCU Center for the Disc Golf Tournament. 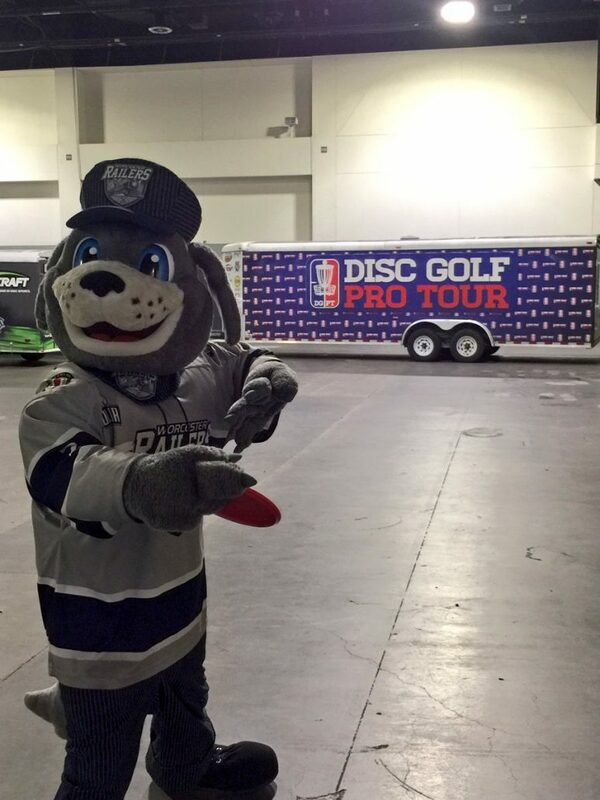 Trax had the chance to show off his frisbee skills! Our second tabling event in a row took place outside at the Worcester Common. It was a beautiful day! 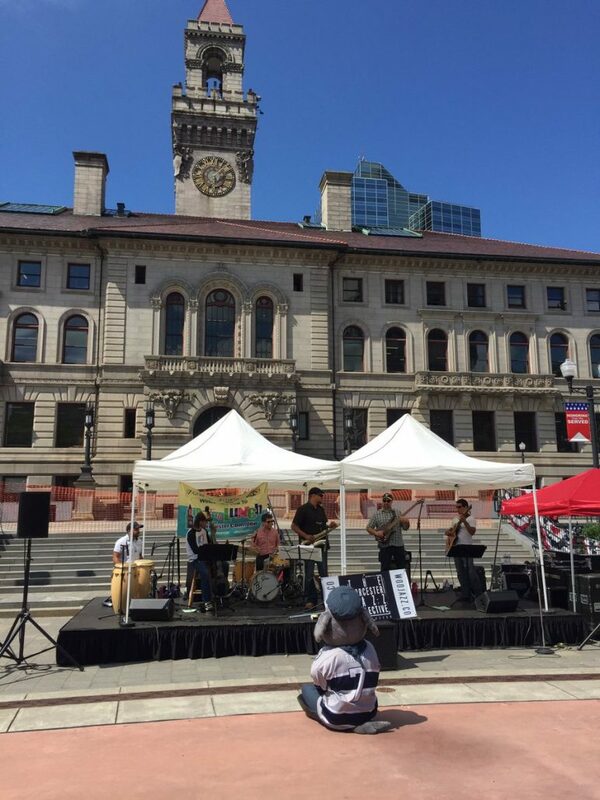 This was the last Out to Lunch Concert Series event of the summer. We can’t wait to be involved again next year! 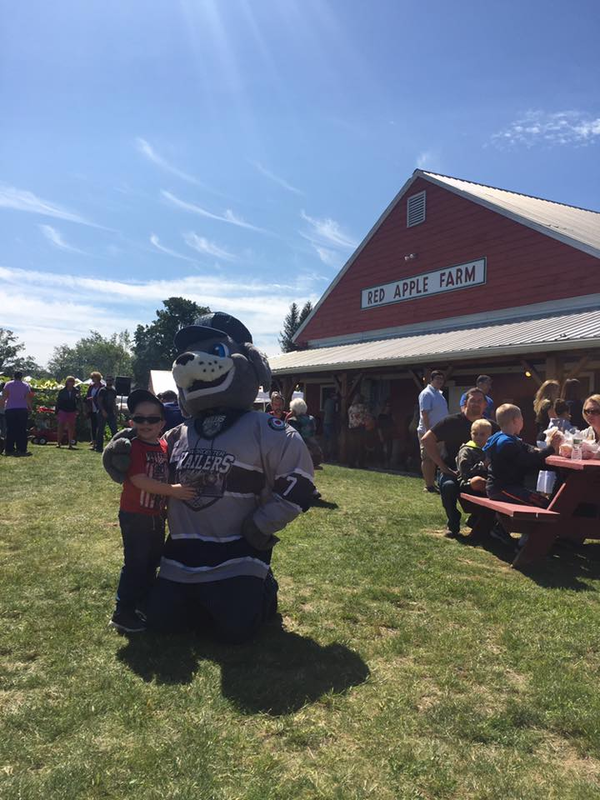 Trax and I had an unbelievable time at the Appleseed Country Fair! 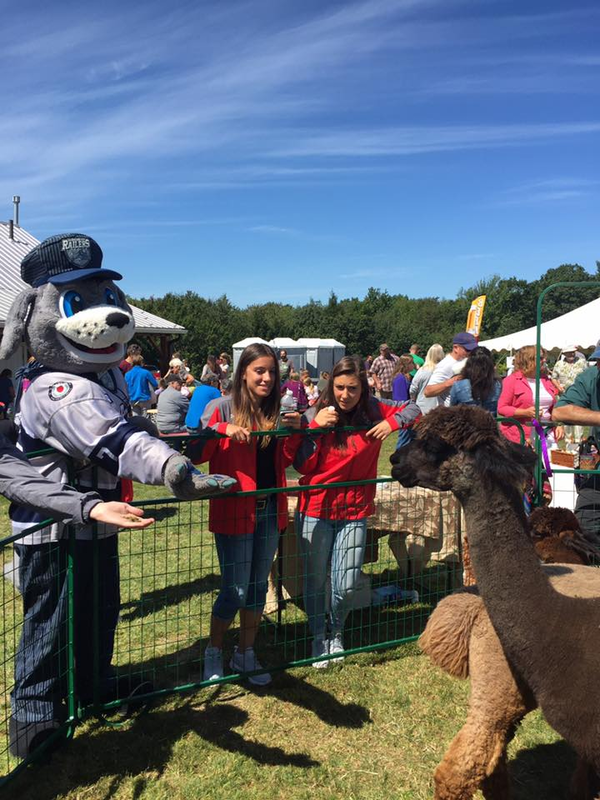 We had the chance to meet thousands of people! We went on a hayride, played carnival games, participated in a tractor pull, and more. We will definitely be back next year! Want to book Trax at your next event? 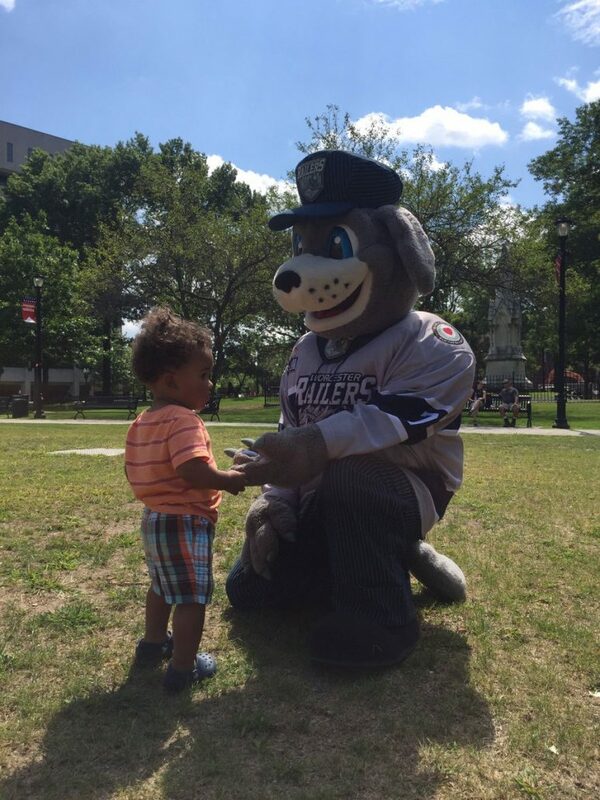 Go to www.railershc.com and fill out a mascot request form under the “community tab” on the top of the website…for more information, don’t hesitate to contact me at PaulH@RailersHC.com. 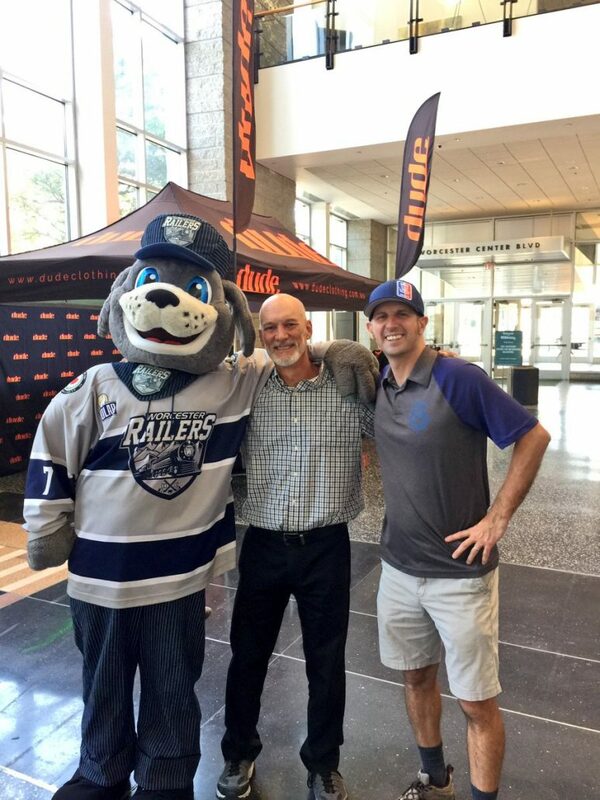 For a list of all upcoming events, check out www.railershc.com/events/. 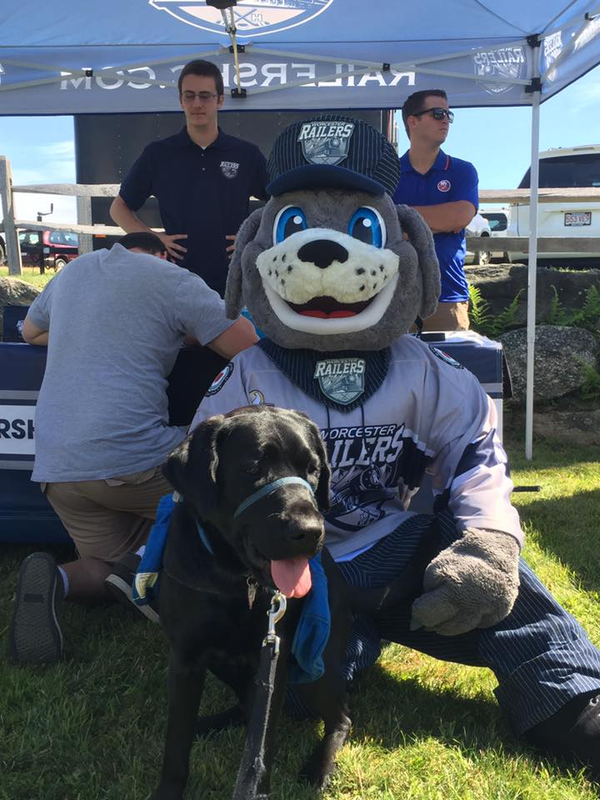 Make sure to follow TRAX online on Facebook, Twitter, and Instagram (Trax_RailersHC)!